Tetris & Dr. Mario: 2 Games in 1! Tetris & Dr. Mario might just be the greatest video game compilation of all time. You can’t go wrong with either of these titles, but mashing them together?! That’s ingenious! #573 – Every once in a while, we need to step away from our entertainment sets and our handhelds. If only to prevent carpal tunnel, a healthy round of board games every so often goes a long way for the average Nintendo fan! But what if gaming and board gaming could unite in a glorious happy medium? NOW we’re talking. Thank goodness for unlimited electricity on desert islands. We’ve all been asked some form of this question before: If you were stranded on a desert island, what would you take with you? This time, your only choices are video games, and you have unlimited power supply but no WiFi. Yes, the choice is tough. But Simeon and Scott thought this through and have come up with some of the strongest candidates. What game would you take? Comment below! Nintendo not only revolutionized the home console market, but time and time again, they’ve proven to be the best in the portable sector of gaming. We’ve already talked about several landmark portable titles for the Nintendo Experience: Pokemon Red and Blue and Pokemon GO. These games shaped the way we game on the go (pun intended), and reached far beyond the game to rock the shape of pop culture. These two games were not an isolated incident, and I would like to showcase two more games that are near and dear to my heart. The first is one of the first games I ever owned personally: Game Boy Camera. 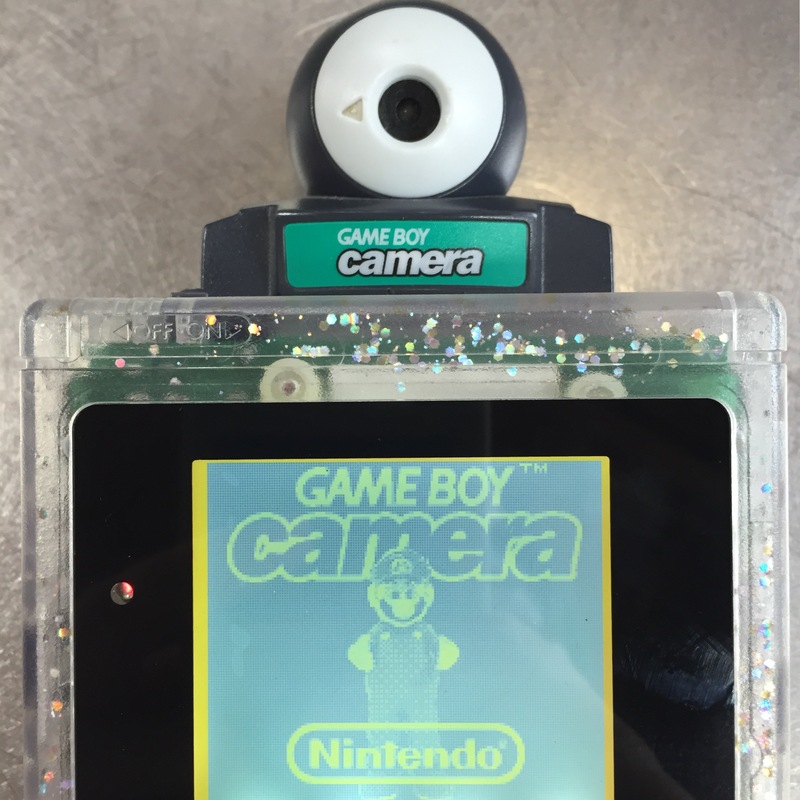 To many, even those who loved it in its time, the Game Boy Camera is a joke. Compared to what we have at our disposal nowadays, it is. The resolution was bad, everything was in grayscale, the editor was primitive, the memory was limited to 30 photos, and, if you were looking for it to be a game, you would be sorely disappointed. Something I will never forget, however, is reading my brother’s copy of “The Guinness Book of Records 1999” and seeing that this odd-looking Game Boy cart was currently the smallest digital camera in the world! I felt like a spy as a kid! It was a novelty, and there were enough menus in the game to navigate and not use (because I was never able to get my hands on a Game Boy Printer) to keep me occupied for a long time. Also, Miyamoto dancing! If that’s not revolutionary enough to make it a must-play for Nintendo fans, I don’t know what is. I think it’s time we talk about the real game-changer: Tetris. Tetris was a system seller, plain and simple. It got everyone who touched it into mobile gaming. It was accessible to people of all walks of life… unless you shun technology… I suppose. It’s simple, easy to pick up, and tough to put down. It is one of the best games ever. That is, until, Nintendo outdid themselves. Here’s that 8-bit-“ish” art style that worked so well. Tetris DS is the best game ever. I mean, Tetris was already the best, but they found a way to improve it. It had all of the puzzling proficiency of its previous iterations, but they made it streamlined. The multiplayer was great, the art style was perfect… What more could you ask for? I consider it the best version of the best game hands down, and I urge you: if you haven’t played it, pick it up. Like, right now. Why are you still reading? Oh, you already have it? Good. Ten games you could play forever in a video that you will probably only ever watch one time. Whether you are an intense completionist or you have a limited gaming budget, sometimes it’s nice to have those “evergreen” games that can be played time after time! We’ve got a great list of Nintendo games for you that just DO NOT get old! Every gamer has a non-gamer in their life who just needs that one game to welcome them into the experience. These are our top 10 go-tos for that purpose. Discussion on Tetris; preambled by a Civil War review. Many games have been heralded as the best… but which game takes the title? Does Tetris have enough to take the #1 spot? Honorable mention goes to meteos. Never played, but heard it’s good. Nintendo is known for their unique spin on things, and their puzzle games are no exception. Today we’re looking at the 10 best puzzle games on Nintendo consoles! It’s a good thing Simeon got this Mystery Block matchup and not Scott – Sim is much more of a crybaby. 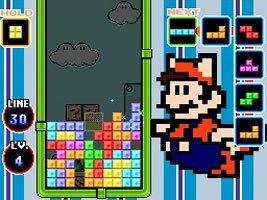 Random Nintendo-Platform Game + Random Topic = The Mystery Block. Is it possible that TETRIS could bring a manly man like Simeon to tears? Let’s find out. Thanks for watching the Mystery Block!